People are our number one priority, so if you enjoy the one to one contact with the public, are able to contend with traffic delays and different driving styles, a bus driving career may be for you. 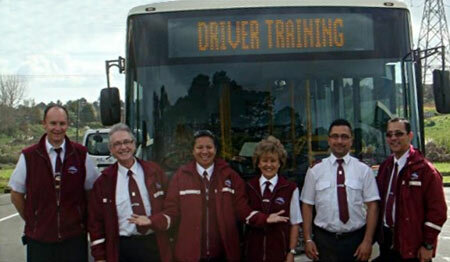 Howick & Eastern Buses look for staff with a safe driving record and a sound work history. Employment as a bus driver gives you flexible hours and job satisfaction. As an employer, Howick & Eastern Buses is able to provide stable employment and excellent working conditions. If you do not have a bus drivers license and wish to take this opportunity to become a driver; you must have held your current class 1 full car license for at least 2 years. Be a NZ Citizen or be eligible to work in New Zealand for more than a one year period. If this sounds like you come in and see one of our friendly staff at reception today and fill out an application form. Once you have completed your application and your application is successful you will be contacted by one of our driver trainers, they will advise you of the next set of training dates. You will then go through our extensive training course covering all aspects of safe driving and full customer service.by the end of the course you will have sat your P endorsement license and class 2 drivers license. On completion you will be competent to drive a passenger service vehicle and join some of our many experienced drivers we employ.